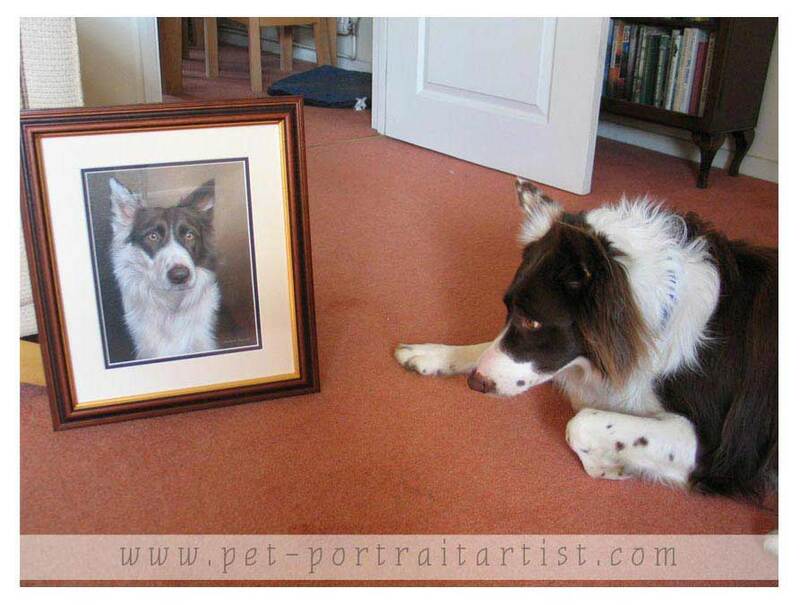 This photo of Hazy sitting with her portrait is just wonderful, isn't she sitting there just so well! I wonder what she thought of it! 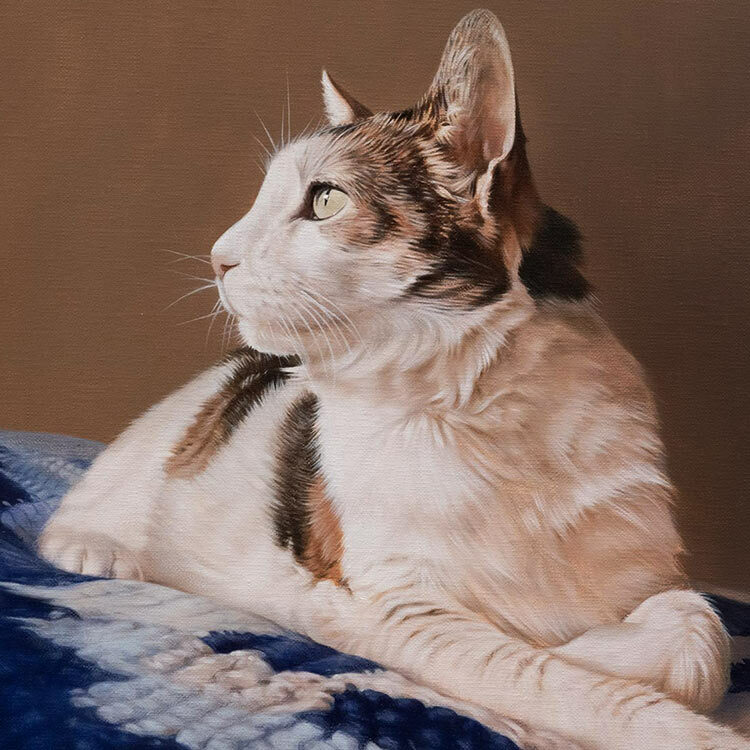 Martin commissioned a painting of Hazy and took quite a few photos of her until he got the perfect shot to work with for the portrait and you can see the finished framed piece at the bottom of the page. I look forward to receiving it! 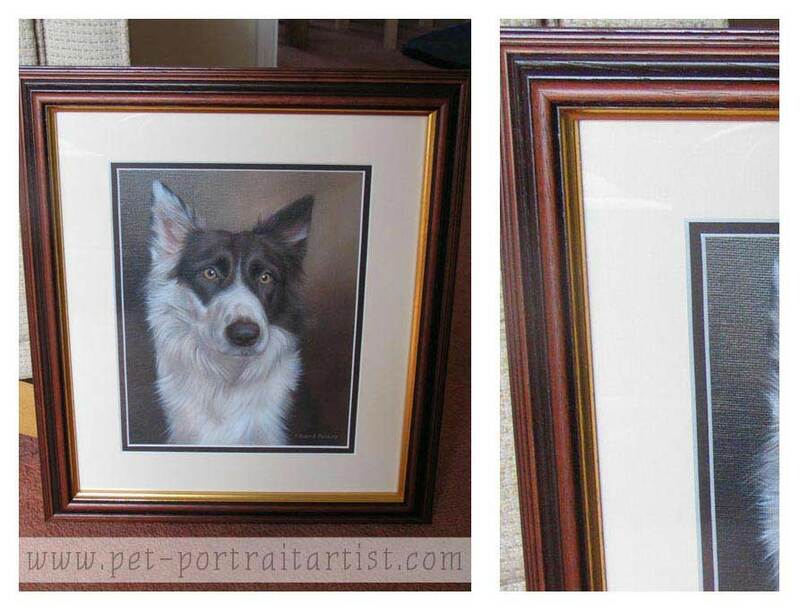 The paintings look brilliant, the face and expression are spot on !! I just wish I could keep her chest as white and clean as that all the time as it's normally covered in dirt!! Once again many thanks and I will let you know when i've received it. 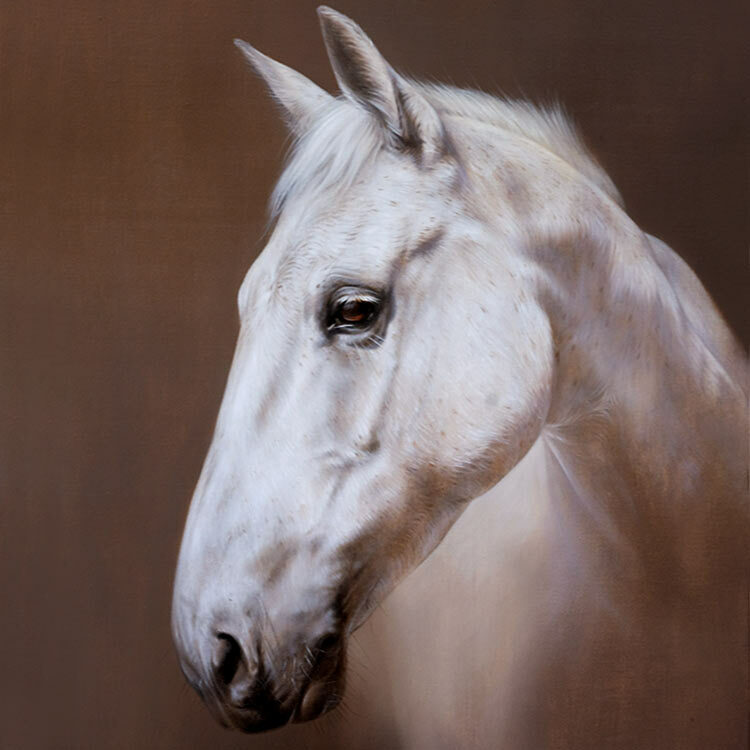 Attached are a couple of pictures of Hazy's portrait now we have got it framed. Once again many thanks, the picture is superb everybody who has seen it has remarked on how fantastic it is. The portrait arrived safely last week and wow!! it's fantastic, you've captured Hazys expression spot on !! When I've got it framed I will e-mail you a picture. Once again many thanks for your help.